The Gold Spotted Rabbitfish, Siganus punctatus, is a stunning fish from the Central Pacific. Also known as the Gold Spotted Spinefoot, this rabbitfish has a brown body which is speckled with bright, golden spots. The Gold Spotted Rabbitfish requires a large aquarium (+180 gallons), and is a peaceful fish as long as it is not housed with other rabbitfish. 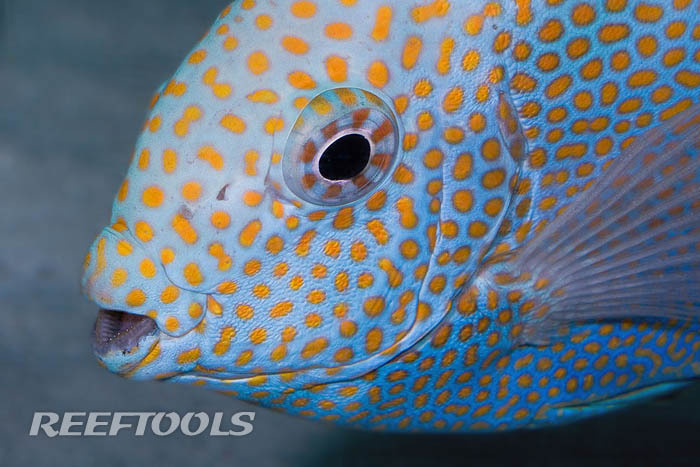 Alternatively, you may keep a pair of Gold Spotted Rabbitfish or in a tank with more aggressive fish. Potential predators, and larger fish will most likely leave the Gold Spotted Rabbitfish alone, due to its’ venomous dorsal spines. Care must be taken when caring for this Rabbitfish, so that the possibility of being stung by these venomous spines is avoided. These dorsal spines will be raised when this fish feel threatened. Rabbitfish are “mostly” reef-safe, but you should watch it, as it may nip at some LPS and soft corals. The Gold Spotted Rabbitfish should have a diet consisting mostly of algae.